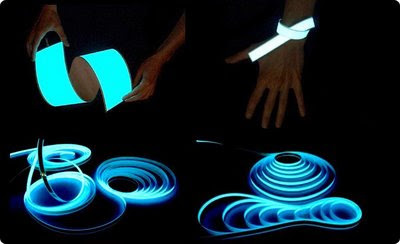 Magic Tape: Promising New Lighting Material for Exhibits? Check out "Magic Tape" from Elshine s.r.l. I am trying to latch onto a sample to noodle around with. What sorts of exhibit applications could we use this stuff for?